Junior Maddie Cleary stands ready for the rebound at the start of the game. To her left, shooting guard Maddison Willis-Rosa anticipates the ball. Boyd point guard Jordan Conner waits for a potential defensive rebound. JV2 Boys vs. Dallas Jesuit- 4:15 p.m.
JV Boys vs. Dallas Jesuit- 5:45 p.m. Varsity Boys vs. Dallas Jesuit- 7:30 p.m.
JV Green vs. Denton- 5:30 p.m.
JV Green vs. Wakeland- 7:30 p.m.
9th Green Boys vs. Plano Shepton- 5 p.m.
9th Girls vs. Plano Shepton- 5 p.m.
JV Girls vs. Plano West- 6 p.m.
JV Boys vs. Plano West- 6 p.m.
9th White Boys vs. Plano Shepton- 6:15 p.m. Varsity Boys vs. Plano West- 7:30 p.m.
10th Boys vs. Plano Shepton- 7:30 p.m. Varsity Girls vs. Plano West- 7:30 p.m.
Dual Credit Presentation – 6 p.m.
JV Girls vs. McKinney – 8 a.m.
JV Boys vs. McKinney – 8 a.m. Boys vs. Prosper Quad – 4 p.m. Varsity Boys vs. regional diving – 5 p.m. Varsity Girls vs. regional diving – 5 p.m. Varsity Girls vs. region – 9 a.m. Varsity Boys vs. region – 9 a.m.
JV2 Boys vs. McKinney Boyd – 4:15 p.m.
JV Girls vs. McKinney Boyd – 5:45 p.m.
JV Boys vs. McKinney Boyd – 5:45 p.m. Varsity Boys vs. McKinney Boyd – 7:30 p.m. Varsity Girls vs. Mckinney Boyd – 7:30 p.m.
JV Green vs. Coppell – 5 p.m. Varsity vs. Coppell – 7 p.m.
9th Girls vs. Allen – 5 p.m.
JV Girls vs. Allen – 6 p.m.
JV Boys vs. Allen – 6 p.m.
9th White Boys vs. Plano Clark – 7:30 p.m.
10th Boys vs. Plano Clark – 7:30 p.m. Varsity Girls vs. Allen – 7:30 p.m. Varsity Boys vs Region – 9 a.m. Varsity Girls vs Region – 9 a.m. 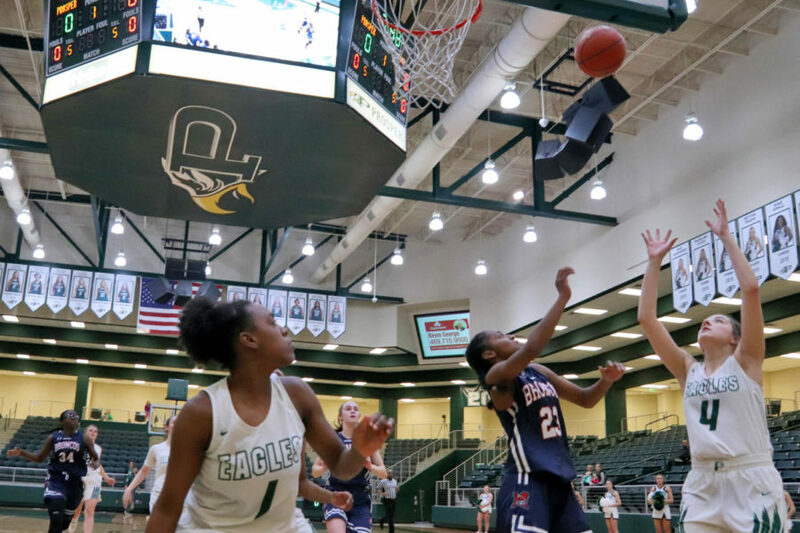 Varsity vs Coppell – 5:30 p.m.
JV White vs Allen – 6 p.m.
Talking About Talking Parenting Seminar – 9 a.m. – 7 p.m.
JV2 Boys vs Denton Braswell – 4 p.m.
JV Boys vs Plano West – 5:45 p.m.
JV Girls vs Plano West – 5:45 p.m. Varsity Boys vs Plano West – 7:30 p.m. Varsity Girls vs Plano West – 7:30 p.m.
9th Green Boys vs Plano Vines – 5 p.m.
9th Girls vs Plano Vines – 5 p.m.
JV Boys vs Plano – 6 p.m.
JV Girls vs Plano Senior – 6 p.m.
9th White Boys vs Plano Vines – 6:15 p.m. Varsity Boys vs Plano – 7:30 p.m.
10th Boys vs Plano Vines – 7:30 p.m. Varsity Girls vs Plano Senior – 7:30 p.m.
JV Green vs Lonestar – 5 p.m. Varsity Softball vs Lonestar – 7 p.m.
JV Green vs Coppell – 5:30 p.m.
JV White vs Coppell – 5:30 p.m.